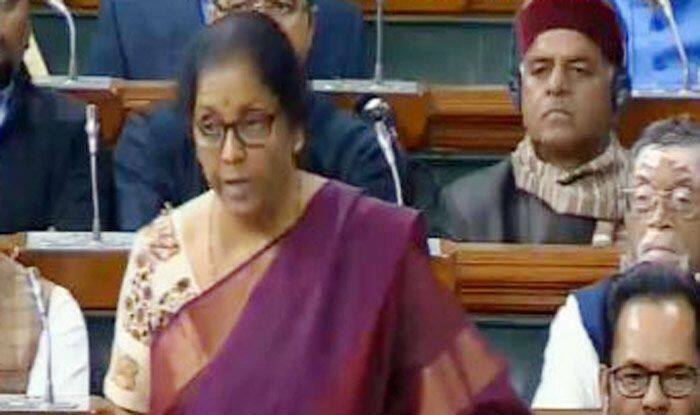 New Delhi: Responding to Opposition’s allegations on Hindustan Aeronautics Ltd (HAL), Union Defence Minister Nirmala Sitharaman on Monday said that the doubts raised by the Congress over her statement on HAL contracts were ‘incorrect and misleading’. The minister’s clarification came after Congress chief Rahul Gandhi accused her of providing false statements on contracts given to defence public sector unit HAL. Furthermore, the grand old party had alleged that the Minister had ‘lied’ in Parliament that government orders worth Rs one lakh crore were provided to Hindustan Aeronautics Limited. In a brief statement in Lok Sabha, she said,”I would like to set all doubts to rest… the doubts raised in this regard are incorrect and misleading. I have received confirmation from HAL that contracts during 2014-18 worth Rs 26,570.80 crore have already been signed with HAL. Orders worth Rs 73,000 Cr approx are in the pipeline. Taking to Twitter, senior Congress leader Ahmed Patel also attacked the government and alleged that it had not paid the aerospace major for delivered products, but paid foreign vendors like Dassault for products yet to be delivered . “Very disturbing that Government has not paid HAL for products that have been delivered but paid foreign vendors like Dassault for products that are not yet delivered! As a result HAL is a broke & is borrowing money to pay salaries. Is this Make in India? (sic),” Patel said in a tweet. Notably, the Congress has been targeting the government, alleging that it denied HAL an offset contract under the Rafale fighter jets deal with France, a charge the government has denied. The Bharatiya Janata Party-led National Democratic Alliance (NDA) government, on the other hand, has accused the Congress of not supporting HAL during its rule and asserted that the government is now strengthening the defence public sector undertaking.